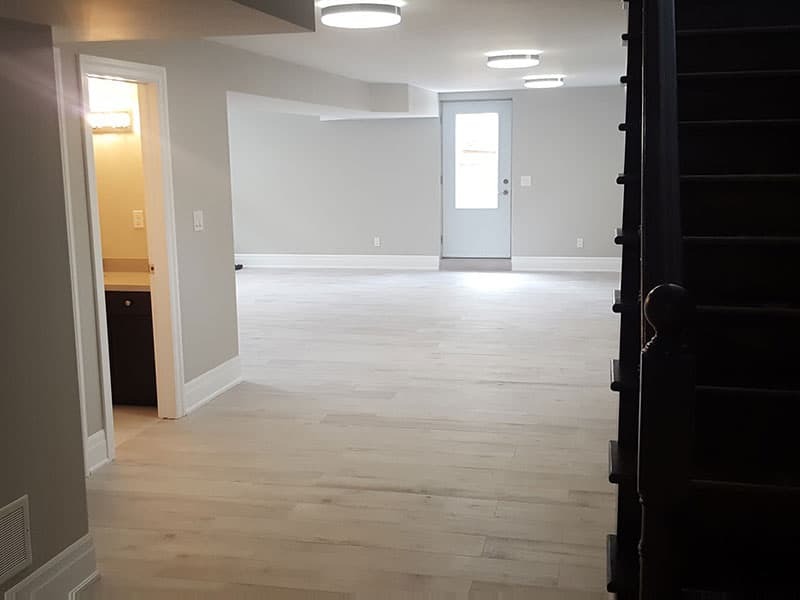 Transform your basement into space you can actually use with VCG – Top-notch basement renovation contractor Toronto. 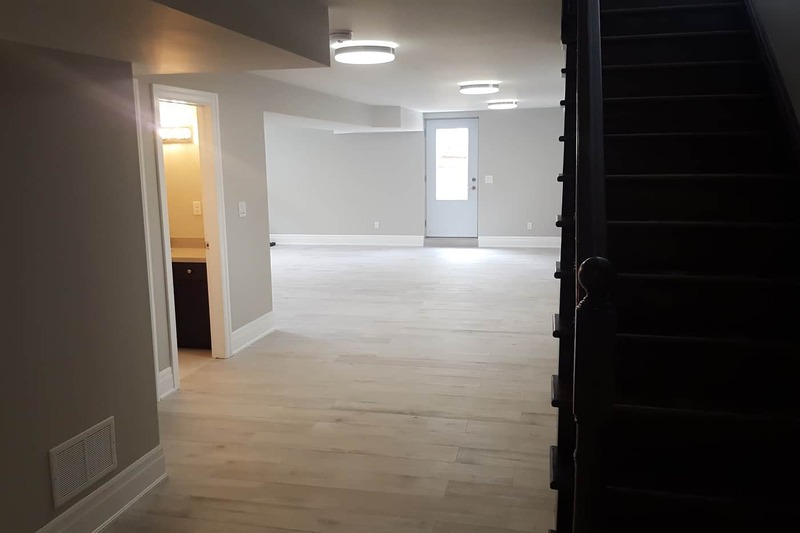 Basement renovation can be one of the best investments in your property. Win back that huge piece of space and repurpose it into something useful. 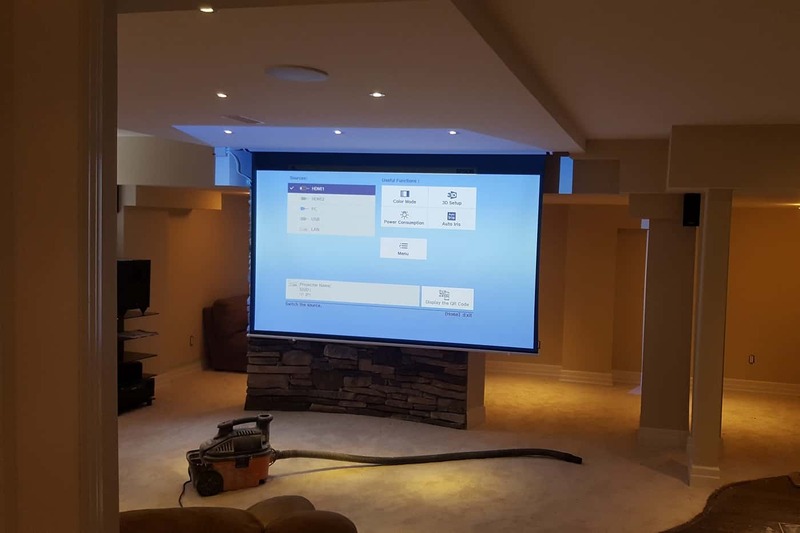 A professionally finished basement renovation can turn your basement into an extra room for any purposes you want, such as home office, home theater, home gym, second family room, rental income and much more. Renovating your basement does not have to cost an arm and a leg. At VCG corp, we work with any budget and size, to make your idea come to life. We will help you every step of the way with expert advice, detailed plans and design to meet your expectations and ensure maximum satisfaction. So, what are you waiting for?! Give us a call and get your free, no-obligations consultation. Is your kitchen on the main floor too small? If yes, we can help transform part of your basement as your secondary kitchen. VCG corp is certified to perform both electrical and plumbing work. We can help design the right basement-kitchen layout for your needs. This includes lighting fixtures, kitchen cabinets, flooring and waterproofing, and more. From planning to project completion, we will walk you through every step. See some of our kitchen renovation projects for more basement renovation ideas. You can never go wrong having an additional bedroom in your basement. Use it for whatever you like, like for extra rental income, guest room and ‘an anything you want space’. Converting your basement into a spare bedroom is the most cost-effective and popular approach, even if you already have plenty of space around your house. Whether you are looking for a something simple like an extra bathroom or an extravagant spa-like bathroom in your basement, we can help! 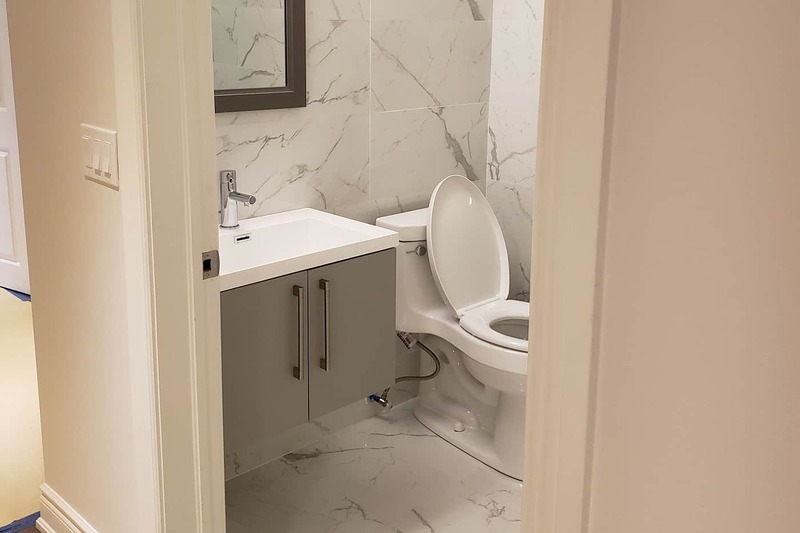 Having an additional bathroom is always a good idea, especially if you already have other utility spaces in the basement such as a home office, second family room, home gym, etc. Need a home office?! Your basement is probably one of the best space to turn into your home office. This is your opportunity to design the perfect layout for your workspace. And yet, a basement office will keep you away from any household distractions, allowing you to be more productive than ever. Make it your own private working haven. VCG can transform your basement into a full-blown home office. We’ll outfit your new home office with custom shelves, cabinets and install smart devices to keep you productive and comfortable. Plumbing and Electrical layout – Having plumbing and electrical provisions in your basement can help you save more of your budget. But if your basement was designed as storage, without any provisions, you will need a factor in the extra budget for installations. 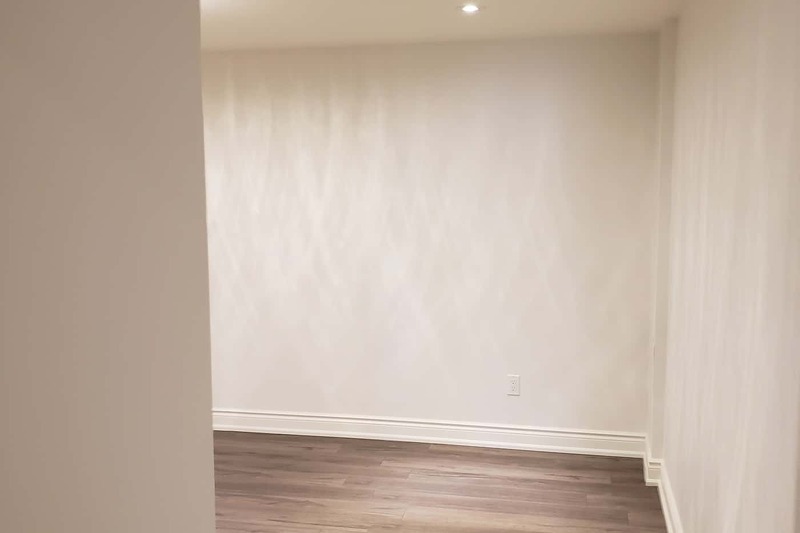 Cracks and water leaks – We’ve seen basements neglected way too often, and a lot of homeowners get surprised to see mould build-up and cracks during the assessment. These concerns need to be resolved before the renovation takes place. But no worries, we can fix that for you as well. Materials – Depending on your expectations, the design and materials you choose will affect the price significantly. This includes floor tiles, lighting fixtures, custom furniture and more. 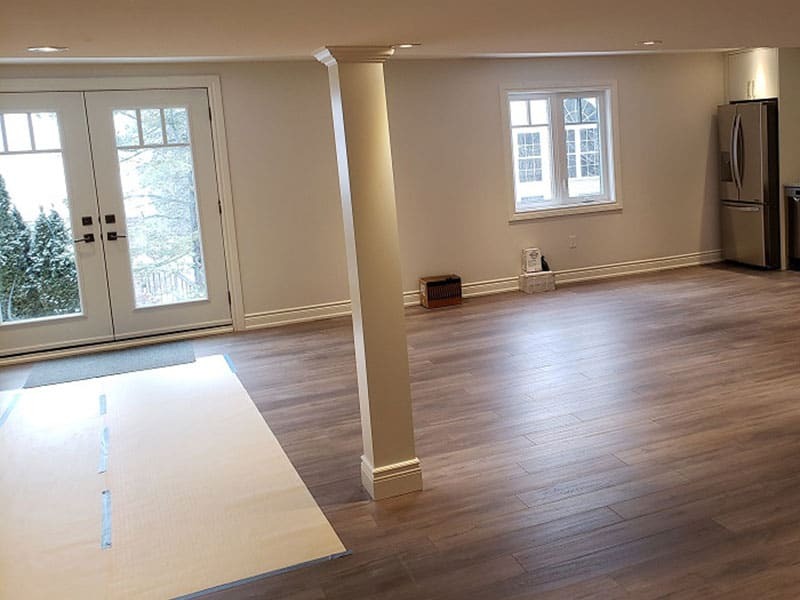 We know you want to make your basement renovation the way you want it, so give us a call and we’ll give you a free estimate. 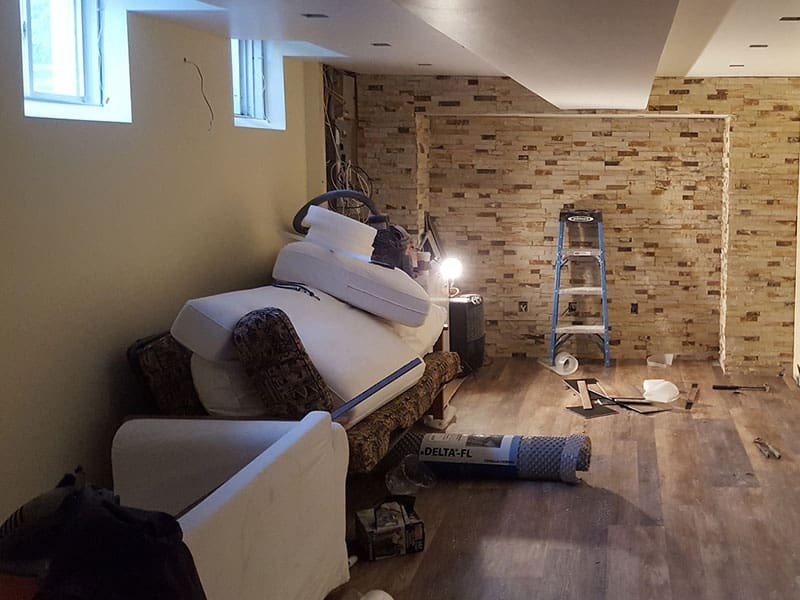 Basement renovation can be challenging, after all, an entire room needs to be repurposed. That’s why choosing the right partner for your basmenet transformation is critical. 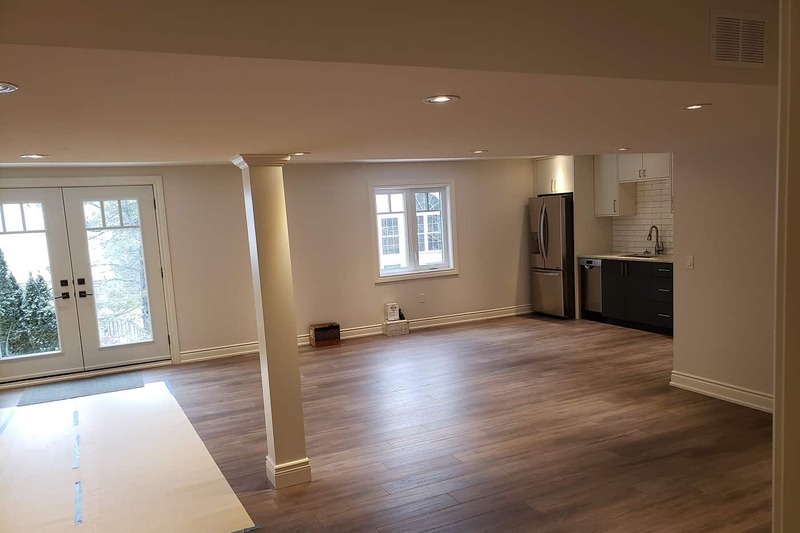 VCG is a veteran of basement renovations, having completed over 100+ basement renovation projects in Toronto & the GTA. We handle everything with the same level of attention; no project is too big or too small for us. We pride ourselves with the 100% satisfaction guarantee and very competitive rates. Our team is certified to perform plumbing and electrical work. Stop wasting time and work with a trusted partner – VCG. Give us a call us now and get a FREE in-house consultation.